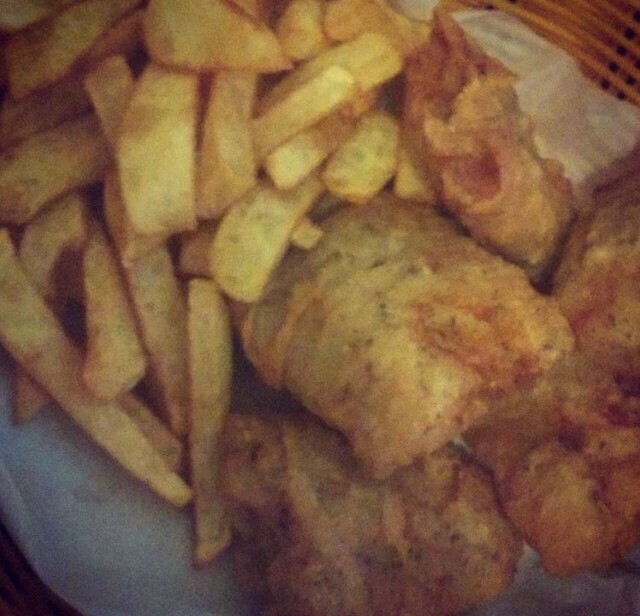 This recipe is a simple recipe for Homemade Fish and Chips. This is such a quintessentially British dish, but it can be really easy to buy ready made. However, it is so much more tastier making your own at home. First, to make the battered cod, into a bowl, sift 4 ounces plain flour and 1 tablespoon cornflour. Add 1/4 teaspoon baking powder and 1/4 teaspoon bicarbonate of soda. Start adding 1/4 cup of water. Place 4 cod fillets in the batter. Stir the cod until they are well coated in the batter. Heat vegetable oil in a large pan, and deep-fry the cod until golden brown. Drain on paper towels. Peel and slice 2 big potatoes into chips. Soak them in water and then drain. Wrap in a tea towel and let them dry out. Deep-fry in oil for 2 minutes, and then take out and allow to cool. Once cooled, deep-fry again until golden brown. Drain on paper towels. Serve the fish and chips with tomato ketchup and the best mushy peas ever! 1. First, to make the fish. Sift the flour and cornflour into a large bowl. Season with salt and black pepper. Add the baking powder and bicarbonate of soda. 2. Start adding ¼ cup of water, and mix well until a thick batter which should cling well to the fish. Add the fish, and stir until they are well coated in the batter. 3. 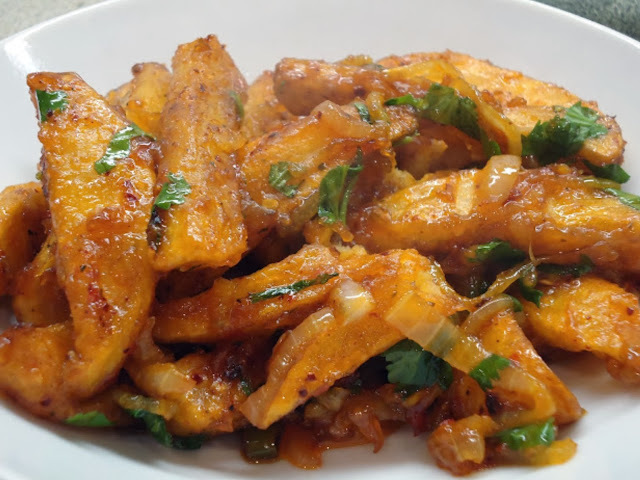 Heat some oil in a deep saucepan, and deep-fry the fish until golden brown. Drain on paper towels, and keep warm until needed. 4. For the chips, peel and slice the potatoes into chips. Soak them in water and then drain. Wrap in a clean tea towel, and dry out. Deep fry out in oil for 2 minutes, and then remove, and allow to cool. 5. Once cooled, deep fry again until golden brown. Drain on paper towels. 6. Serve the fish and chips with tomato ketchup and mushy peas. MashAllah!! Looks delicious!! Would love to give this a go inshAllah..
Is that pepper with the flour in the first picture? Does it make a difference if you keep the fish in the batter mix for some time or is there no need? Assalamu alaikum! Yes, it is black pepper, to taste. There is no need to keep it in the batter if you don't want to. But if you think it is not sticking to the fish well, then place in the fridge for about 15 minutes.